Strategic planning, brand marketing and promotion for an iconic Los Angeles coffee roaster and retailer. Coffee Strategies advised popular Los Angeles coffee wholesale roaster and retailer Klatch Coffee to help plan for its growth, to maximize the impact of its brand recognition and take advantage of business opportunities. In 2007, work began with the analysis and strategic repositioning its roasting and retail business models, along with the development of branding elements. Klatch gained global visibility in 2008, when a press release mocking the shutdown and retraining of Starbucks baristas drafted and distributed by Coffee Strategies was reported by more than 1,000 newspapers, radio and television media outlets worldwide. 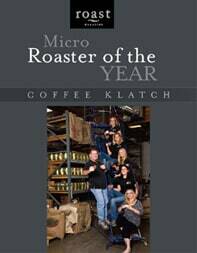 Later that same year, Klatch was named Micro Roaster of the Year by Roast Magazine, alongside close friend and competitor PT’s Coffee of Topeka, Kansas, another Coffee Strategies client. Named “America’s Best Coffee House” at CoffeeFest Seattle, Klatch Coffee remains a popular and successful coffee wholesaler. 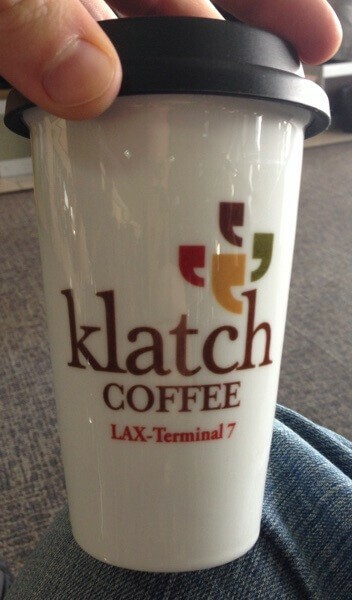 Klatch operates 4 locations around the Los Angeles metropolitan area, including a high volume location at LAX international airport Terminal 7 and licensed partner locations in Korea.